For the last nine years I’ve been saying the original BioShock was the best game ever released on Xbox 360, so being able to re-play the game via the newly released BioShock remaster collection and see I was right all along was quite a relief. With BioShock: The Collection you get the great BioShock 1, the criminally underrated BioShock 2, and the crushing disappointment of BioShock Infinite, plus all of the DLC, all for $60. 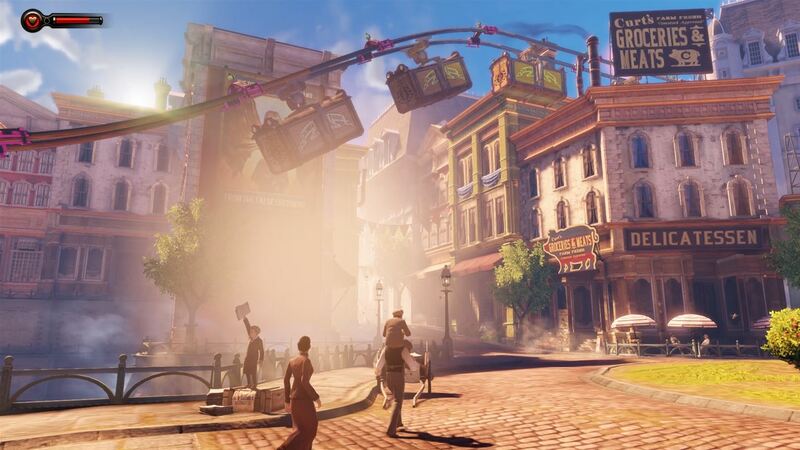 BioShock Infinite has some serious performance issues not present in the other two games, but even still this is a solid value that no FPS fan should pass up. 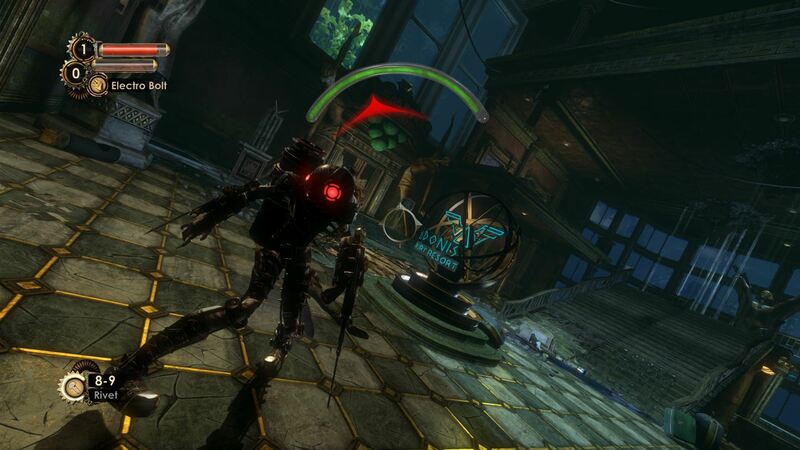 See our review of the Xbox One version of BioShock: The Collection for more details. BioShock: The Collection features remastered versions of the three BioShock games plus all of the DLC released for each. BioShock 2 does not include the multiplayer modes originally included with the game, but they were mediocre at best and not really missed. It is also important to note that BioShock 1 saw the most work done to improve the visuals (it was the oldest of the three games, after all) but neither it nor BioShock 2 look super fantastic and current gen or anything. They do have a very strong and unique art style, however, with great lighting and water effects that make them look pretty darn good. BioShock 1 and 2 both run fabulously well at 60FPS (most of the time) and I didn’t have any significant performance issues with either of them. BioShock Infinite is essentially a port of the PC version and not really a remaster. It looks quite good overall, but could have probably used a touch up to really stand out. More troubling is the extremely poor performance I saw on the Xbox One with regular framerate drops and severe stuttering in just about any combat sequence that took place outdoors. How severe? How about regular drops to 0FPS where the game stalls out for a second or two before letting you move again. The more enemies you kill, the better the performance gets. As you can imagine, this makes the game almost unplayable and is pretty unacceptable. I re-installed the game a couple of times, rebooted my Xbox One, played offline, and did anything else I could think of to improve performance but nothing helped. BioShock Infinite is just plain broken in this collection and I only got a couple of hours into it before I got fed up with the awful performance. Maybe my experience was an isolated anomaly and it works fine for other folks, but I can only report on what I see. Honestly, though, I wasn’t particularly disappointed to not get to play through BioShock Infinite again. It is a mess of a game with a bad story, a weird mishmash of themes that never get fully realized, and a fairly generic game world that doesn’t draw you in the same way Rapture does in BioShock 1 and 2. The fact that almost everything in BioShock Infinite is an analog to something similar in the previous games is also very disappointing as there is little to make Infinite stand on its own. The setting of a floating city in the clouds is also, frankly, not all that interesting. BioShock Infinite was disappointment when it launched and seems even worse now. On the other hand, BioShock 1 and 2 have held up extremely well. Everyone already knew BioShock 1 was great, but hopefully this remaster will get more people to try BioShock 2, which is actually probably the best game in the series except for one flaw – it takes place in the same setting as the first game. 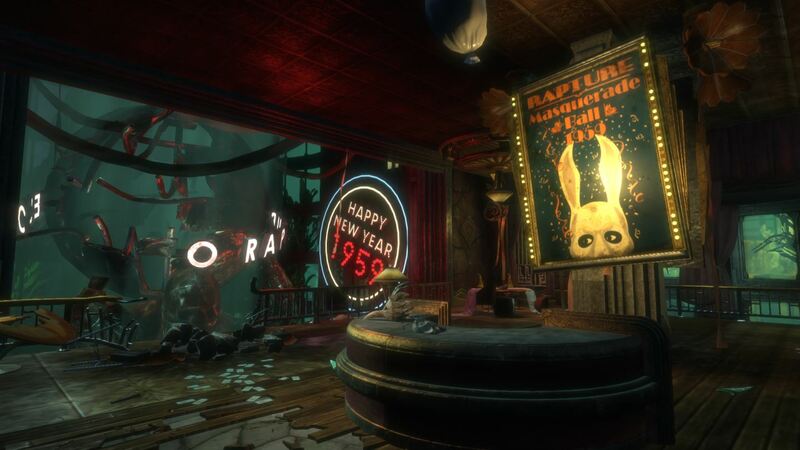 BioShock 1 was an amazing experience because descending down into Rapture and exploring the crumbling underwater dystopia was incredible the first time. It looked and sounded amazing and the horror concepts of creepy little girls with hulking armored bodyguards harvesting dead bodies, crazed psychopaths driven mad by gene-altering drugs, and the twisted folks in power trying to hold it all together were absolutely fascinating. BioShock 1 is still an absolute treasure. 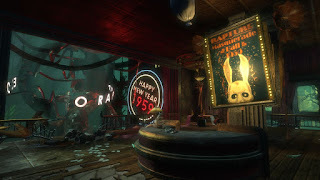 By taking place in Rapture once again, albeit in a different section of the city, BioShock 2 lost a lot of the thrill and excitement of exploration because you had seen everything already, which caused a lot of people to skip the game entirely. That was a shame, too, because from a gameplay perspective BioShock 2 is easily the best game in the series and also has one of the best pieces of DLC ever made in the Minerva’s Den. BioShock 2 also did some interesting things like letting you use weapons from Big Daddies and even adopt your own Little Sisters and help them collect Adam (sorry if none of that made sense, you’ll understand when you play the games). There were also frequent underwater excursions that were new and different. If you never played BioShock 2 because the so-so reviews scared you off, I highly, highly recommend you give it a try now. It will really surprise you. All in all, BioShock: The Collection is a solid set of remasters of some of the best games ever (plus BioShock Infinite …) that I was happy to be able to play through again. BioShock 1 and 2 hold up incredibly well even to this day and are absolutely worth a playthrough, particularly if you never played them before. It is disappointing that BioShock Infinite has such poor performance, because I did truly want to play through it again, but even without Infinite this collection is still pretty solid and I was satisfied with my time with it and the $48 (thank you Amazon Prime preorder discount) I paid for it. If you never played any of these games, buy it. If you have played them but it’s been a while, buy it. Rapture is worth making another visit.